This is a great project. It looks so much better now. 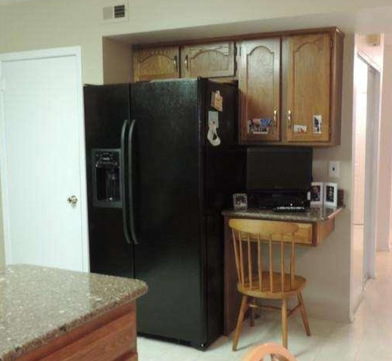 I bet that desk was uncomfortably right beside the fridge. I doubt you miss it and extra kitchen storage is always a win. Thanks for sharing. Beautiful work. 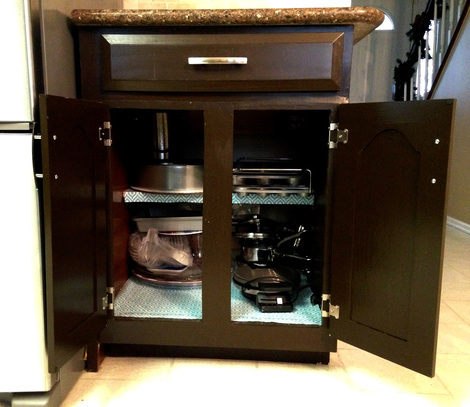 Great idea to add more storage to your kitchen. Wow! What a huge improvement. Having lived in more than 25 homes, I know how precious every cubic inch of storage space is. I know you treasure this extra space. Thanks for sharing at the #ThisIsHowWeRoll Link Party. That turned out very nice! And extra storage in a kitchen is always good! I’m coming over from Your Inspired Design party. I love a recycling project and you did a great job working with what was already in place! I’m sure the added space is very welcome. This is such a great idea! It’s a much better use of space and looks great! Thanks for sharing! You’re right – that does look pretty seamless! Awesome job. That “desk” didn’t look like it was a good size or in a convenient place so I’m sure changing it to blend with the rest of your cabinetry has been so much better. 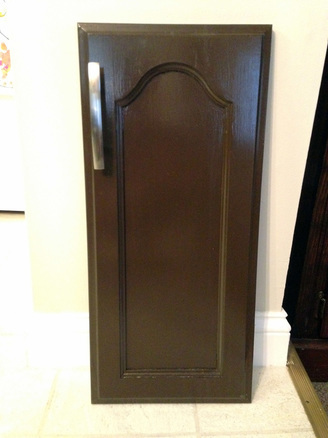 And who knew you could order custom cabinet doors all by themselves? I’ll have to keep that in mind. OH WOW! Well done, oh my gosh you cannot even tell it wasn’t like that from the very start. What a HUGE difference – all that added storage!@!!!! WHOO HOO!!! Extra space in the kitchen is always welcome, right? I can imagine it being tight for an office space and it really does look great like this and blends in perfectly! Thanks so much for sharing at Sweet Inspiration this weekend! What a great idea! Gotta love extra storage, and it looks great:) Thanks for sharing. Thanks, Sara!! 🙂 We are so happy with it! Great idea. Who doesn’t need more kitchen space? Happy Saturday! From the Mini Linky Party. 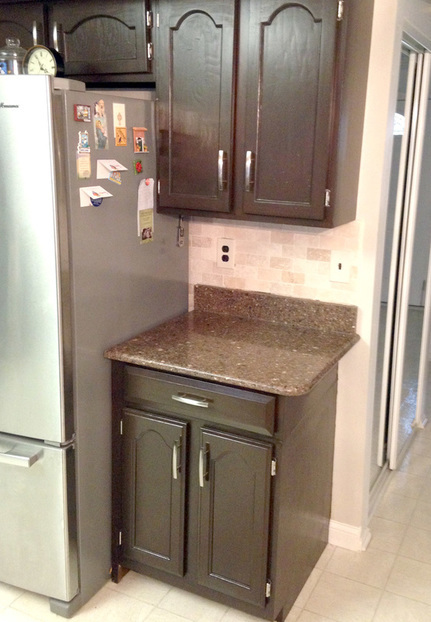 I don’t know anyone who wouldn’t want more cabinet space in the kitchen! Perfect plan and it looks great! Thanks for sharing with us this week on Snickerdoodle Create-Bake-Make Link Party! Pinning to share. Great instructions – Thanks for sharing on the Pleasures of the NW’s DIY party. I have a similar odd desk (mine is to the left of the oven) in the kitchen. I keep squinting at it trying to decide what would be a better use of the space. I think I may have overlooked the obvious choice putting a cabinet under the desk part (it uses the same laminate countertop as the rest of my kitchen). Well, you will never cease to amaze me! Fantastic job! Really nicely done, you two! Looks great! You have impressive skills! I LOVE your blog!! So many great ideas!! I found you through Modest Mom’s link up. My mom has a desk like your before in their kitchen as well. She’s always said it’s wasted space. I’m sending this post to her so she can get ideas!! Aww thank you so much, Mrs. U!! We are so excited to hear that! 🙂 Yessss, the extra cabinet space is awesome 🙂 Thanks for sharing our post with her! Haha thanks Debbie! This one wasn’t too bad and it made a huge difference! I love this! 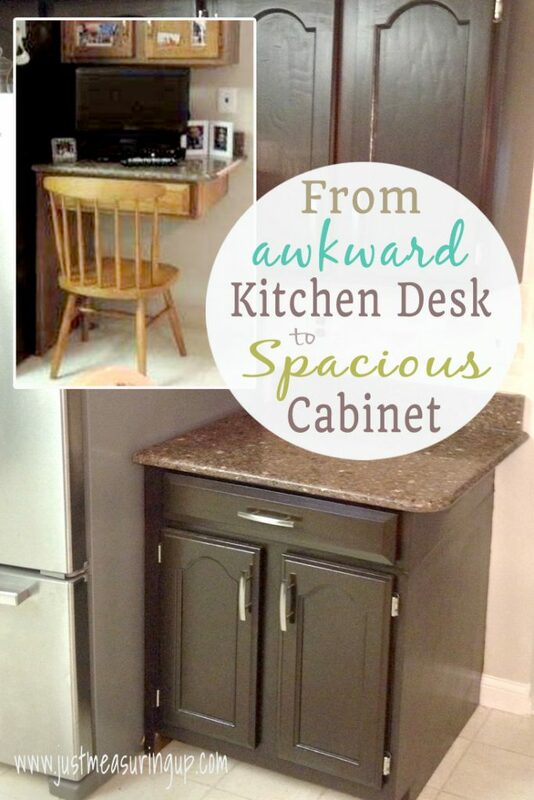 My kitchen definitely needs more storage space and could use just one more cabinet! Such a great idea! That floating desk did look a little odd 🙂 My hubby and I just re-did the faces of all our cabinets, and it’s a lot of work, but so rewarding to get the look you want. Thanks for sharing with us at Funtastic Friday! What a great update! I never understood putting a desk in a kitchen, but then again my kitchen is too small for a desk 🙂 You built that beautifully and it looks like it’s always been there. Thanks for sharing with us at Waste Not Wednesday Link Party! Excellent use of underutilized space. Thank you for sharing at Vintage Charm. Thanks Sharon! 🙂 We’re very happy with it! 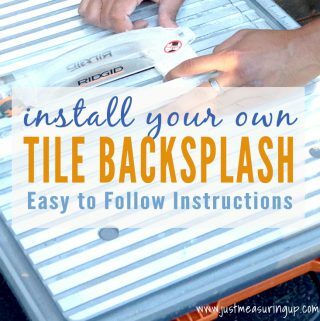 Wonderful DIY project, extra storage is always a plus! What a big improvement you guys have made in the kitchen, great job! Thanks for sharing at Fridays Furniture Fix! What a great idea. You can never have too much storage in the kitchen. Love your creativity! And love that you guys work together so well. My husband and I are doing the same, creating new projects and we feel SOooo accomplished afterwards. 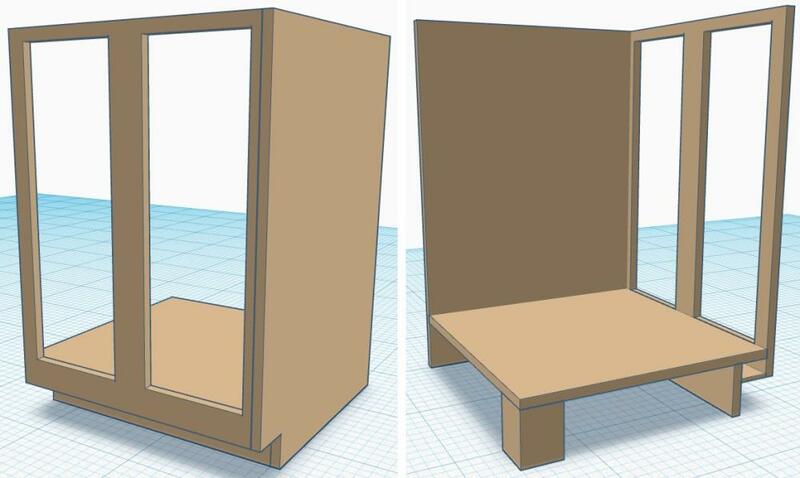 We are now trying to build a handicapped vanity for our twin girls’ bathroom. This will be the biggest project yet. So please cross your fingers too! lol Thanks for sharing! Aww thanks so much Lilly! Yes working together is so awesome – you have another person to rely on and bounce ideas off of. Good luck with your bathroom – I’m sure it will turn out fantastic!